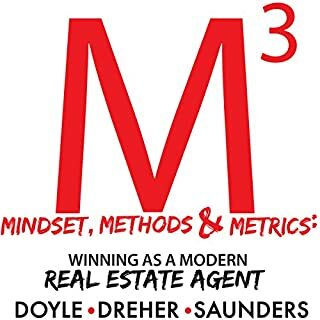 Carter offers insight and advice that lenders, real estate agents, and anyone interested in the real estate business will likely find useful - whether you're just getting started or simply need inspiration. In fact, the principles outlined in this audiobook make it an excellent resource for any type of small business owner. Save your hearing, and your time. Ever feel like you can't jump off the real estate merry-go-round of listing appointments, property showings, and one transactional fire after another? Do you want to build a team that can operate without your day-to-day involvement, but don't know where to begin? Contained in this audiobook is a step-by-step business plan with simple, unambiguous directions on which steps to take and in what order. 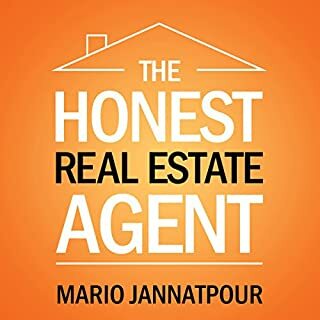 As a comprehensive guide, this audiobook promises to give you the answers you seek about what it means to be a real estate agent. Have you ever wanted to earn more money than you’re currently earning? Does your current job cause your toes to curl at the thought of it? Do you wish your career offered you more in terms of fulfillment? If you’ve answered yes to any of these questions, then you should get this audiobook now! 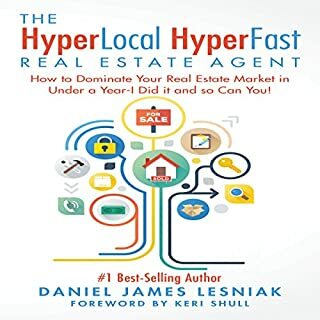 This audiobook will provide you with all of the information that you need to get started in the real estate industry. Not only will you learn what you need in terms of licenses and certifications in order to become a real estate agent, but you’ll also be given tips on how to invest in real estate property if an official realtor title just isn’t for you. Regardless of your approach, the real estate industry can provide you with a ton of additional income that a traditional job is unable to provide. 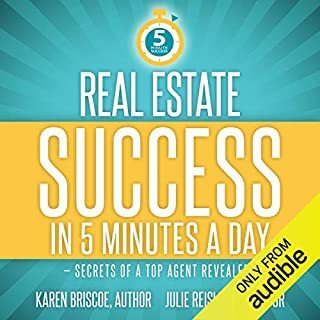 Whether you’re looking to start an entire career in the real estate industry, or you’re just looking to make a few extra bucks, this audiobook is for you! If you are interested in real eatate agent, then this is great resource for you. 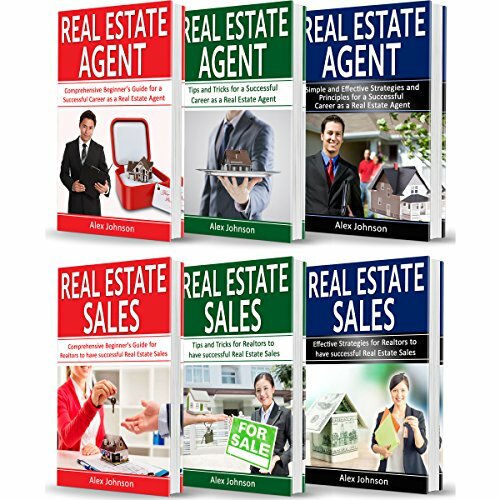 There are 6 books in one: The ultimate beginner's guide to learn real estate agent. This was a very interesting read. I purchased this book to try and better to know about real estate agent. An ideal book for both beginners and experienced people. Because here it is well described the importance of each step, as well as what will be if treated lightly. 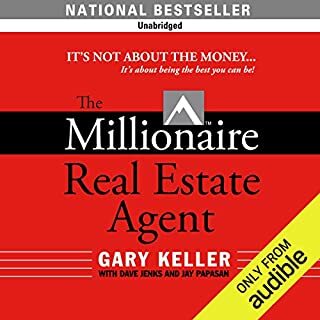 This is the most thorough and detailed real estate agent book I've read and follow the structure and layout that is explained by the author will be successful. This book is a very thorough and realistic view into the numbers and procedures to successfully invest in real estate. It will be a book that you continue to refer back to every step of the way as you begin your real estate investing journey. 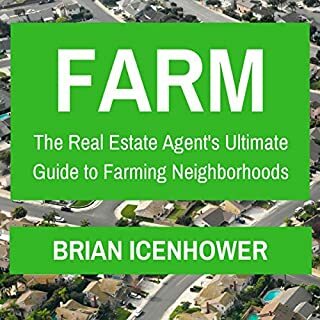 This is the most thorough and detailed real Estate book I've read. This book fills in a lot of the blanks for the beginner. No excused after reading this one! Perfect book to know about the real estate agent and this book will surely helpful for new agents. After reading this book i can understand the meaning of real estate and this books is very useful for new agents.. I plan on reading this a second time through. Mike walks through specifics on how to operate as a compassionate and competent agent, while maintaining the spirit of an entrepreneur. I appreciated his upbeat tone and open sharing of information. I am introvert and don't know how to negotiate. I bought this book to learn it. After completing the book, I just feel every word in this book is valuable. It's that good for someone who don't know how to negotiate. Real estate agent book is very useful for new agent to know the real estate and this book is one of the great author's book. It is an awesome book, it is very interesting to listen to it. I really like the way for the author takes us inside the book. really good job by the narrator. The authors highlights that the most difficult aspect of forensic analysis is attribution and this book is best ever.. Perfect guide book to know the real estate and this book is very useful for new agents. A good book with a lot of good ideas!